My random number generator, aka my firstborn, was asked to select a number from 1 to 27. 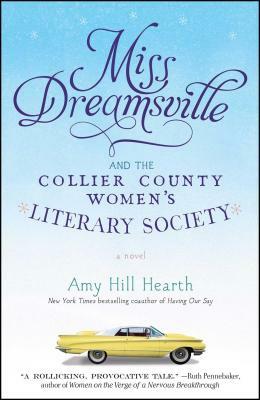 If you knew that he was a big Don Mattingly fan, you’d have left the 23rd comment and you’d be the winner of a signed copy of Amy Hill Hearth‘s Miss Dreamsville and the Collier County Women’s Literary Society. Well played, Ruth Horowitz. Thank you all for the wonderful comments. It’s pretty clear to me that the books we loved as children are nothing short of literary comfort food. For those of us who write for children, it’s a pretty heady thought: decades from now, you might be someone’s book equivalent of macaroni and cheese. This entry was posted in Uncategorized and tagged Amy Hill Hearth, children's books, comfort food, Miss Dreamsville and the Collier County Women's Literary Society, Ruth Horowitz. Bookmark the permalink.